In my search for my second great-grandfather, Andrew Doyle, as a child, I hoped I would continue to find his mother, Martha (Reay) Doyle after her first husband's death. I'm grateful she didn't desert her children or send them to live with relatives. 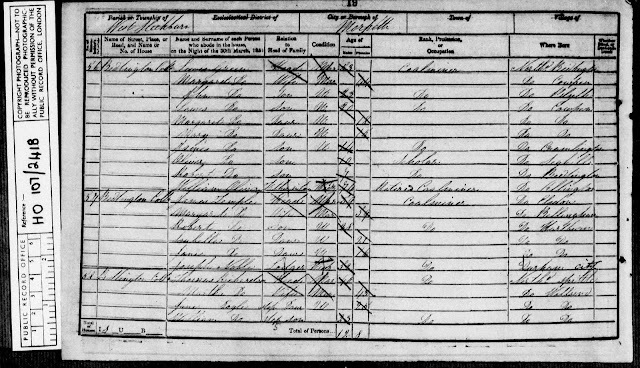 Martha appears in the 1841 U.K. Census in Bedlington Township, Durham County, with her children Jane, William, Lawrence, Andrew, and Martha, ages 15 to 2. 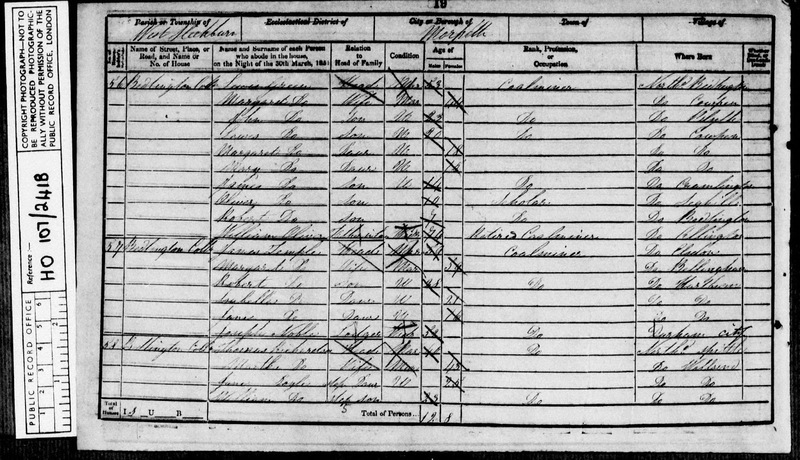 In the 1851 U.K. Census, Martha is found as the wife of Thomas Richardson, living in Bedlington Cotts, West Sleekburn Parish, Morpeth, Northumberland. North'd is the census taker's abbreviation for Northumberland. It makes sense in the same way Penn'a is sometimes seen as the abbreviation for Pennsylvania. In the early 1800s Bedlington was in the country of Durham but became part of Northumberland in 1832. Even after that time Bedlington's county is sometimes recorded as Durham. Read more here. 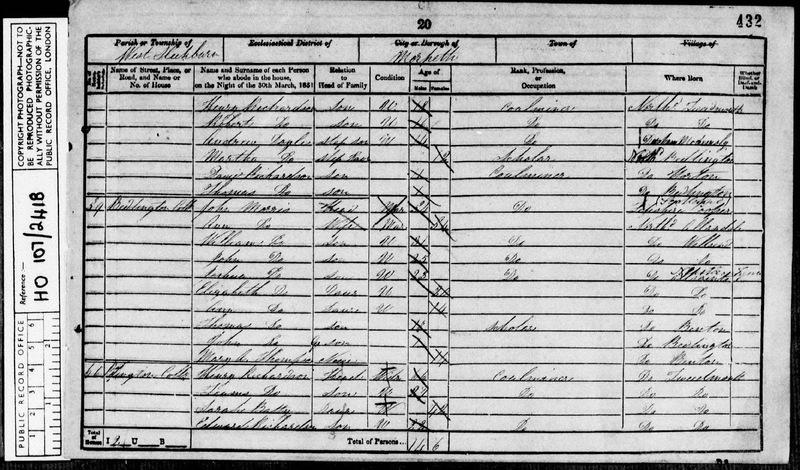 Since Martha was not enumerated with a husband in the 1841 U.K. Census I can guess that she and Thomas Richardson married between 1841 and 1851. 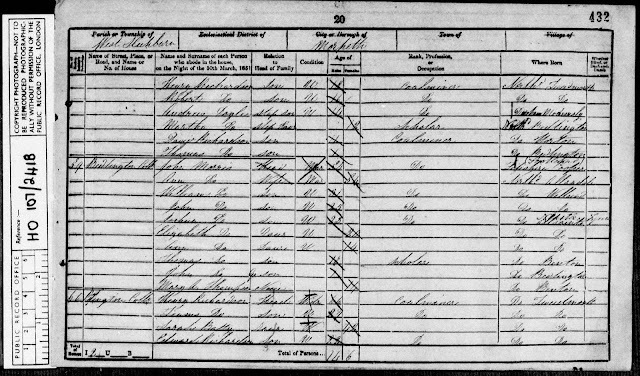 I suspect that Davie Richardson is Martha's stepson but that young Thomas Richardson may be hers and Thomas's son. With these dates in mind my next search is to find a marriage record for Martha Doyle and Thomas Richardson. Since Martha was living in Bedlington in 1841 and she and Thomas were living in Bedlington in 1851, I'll expect to find a marriage having taken place in or near there or, at the very least, somewhere in Northumberland. Davie - coal miner at age 11!! I can picture this family in a Charles Dickens novel. Wendy, I think most of the poorer people of that time, no matter the profession, could have been characters in one of Dickens's novels. It's sad to imagine sending a boy to work in a coal mine. I suppose they began at 10 or 11 years of age. What a hard life.